What is the current artwork you are working on? What is the work about? A: Plastic bottles. It is an observational drawing. What skills have you picked up since your started art in Artgrain? Do you enjoy learning art in Artgrain and why? A: I have learnt how to paint and shade and explore different mediums and materials example: clay, oil paint, lino printing, charcoal, soft pastel etc. I have also improved my skills in painting and blending , i have gained more interest in art as the teachers make art seems more fun. The subject matters that were given to me were also really interesting. I have really enjoyed the past 4 years that i have learnt and built my portfolio in art grain. Art grain allows me to experiment with many materials that i might or might not know existed. The teachers in art grain have also taught me different techniques in painting and shading. They have also guided me and gave me advice on my school art projects which really helped me. 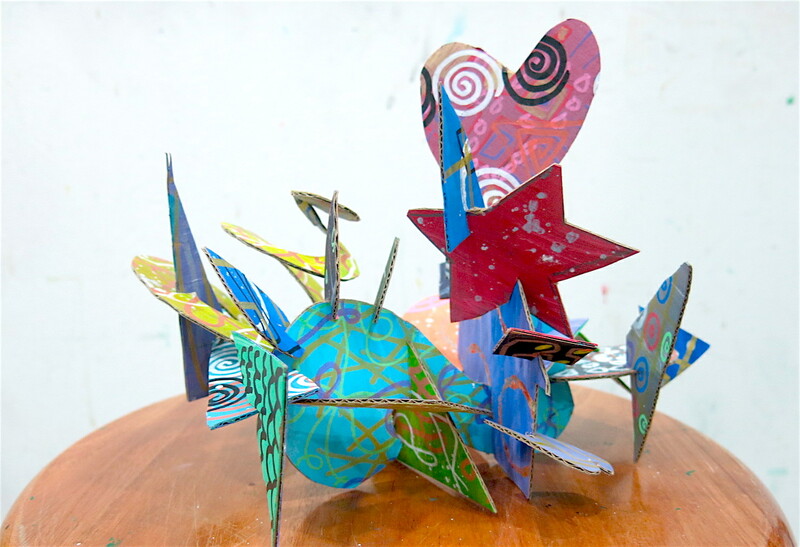 How has learning Art in SOTA shaped your perspective about art making? A: Learning art in sota have made me see things in many different perspectives and made me think creatively and pushed me out of my comfort zone in art. I have learnt to challenge myself more by doing larger and more detailed paintings. Sota have also taught me how to be original in creating artworks as we are not allowed to copy an artist work online but instead, we have to combine our own style to make it special. Do you think Artgrain has been essential in helping you in your art-making journey? Can you share with us your personal experiences? A: Yes, if i did not attend art grain, i might not have gotten into Sota. Art grain have helped me in developing into a young artist. I have learnt how to appreciate art and have confidence in the art i produce. Art grain helped me to gain more interest in art and develop my art skills. Art grain have helped me to find my strong and weak points in art and allow me to express my emotions in my art piece. Therefore, in the years that i have been in art grain,I learnt that art has no boundaries, it is also a subject that is open to experimenting and exploring in many ways. What is the current artwork you are working on? What is the artwork about? 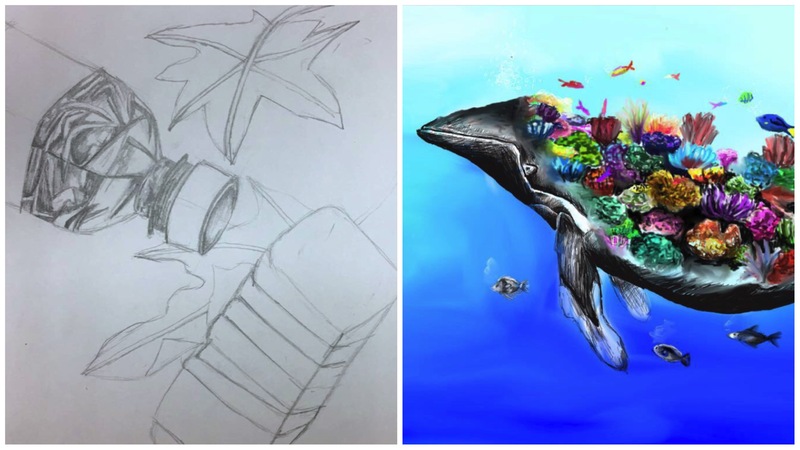 S: I am currently working on a surrealistic whale digital art. It depicts a whale which has a coral reef inside it with many fish visiting it. What skills have you picked up since you started in Artgrain? Do you enjoy learning art in Artgrain and why? S: I have learnt a lot of new skills and mediums that i can use to create artworks. For example, I have picked up digital art since i went to Artgrain. I enjoy digital art very much. I also got to improve on my skills like blending and drawing. I enjoy art a lot and feel that Artgrain is a good place to improve on my art. It also helps to relieve my stress when i do art in artgrain. S:Work in SOTA requires a lot of creativity, originality and motivation. I used to think that art making requires only skill. However SOTA has taught me how to express myself. We don’t copy directly from online sources, we have to imagine and be creative. We also have to do a lot of research as the teachers only give us a rough idea about what to do and we have to come up with the composition ourselves. This makes our art uniquely ours. S: Of course, Artgrain has played an important role in my journey as an art-maker. Artgrain helped me to build my portfolio for entrance into SOTA, which is further developing me. Artgrain is still helping me develop further. I have been doing art in Artgrain for two years. I was taught by teacher Amirah. She is a very understanding person who is really good at art. I enjoy crating new artworks in Artgrain.